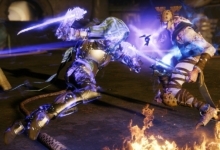 The spring event will add more armor and a new Exotic weapon. Spring is in the air! And so, too, is a new seasonal event in Destiny 2 — the first of its kind. The Revelry is meant to be the Destiny universe’s celebration of all things spring. 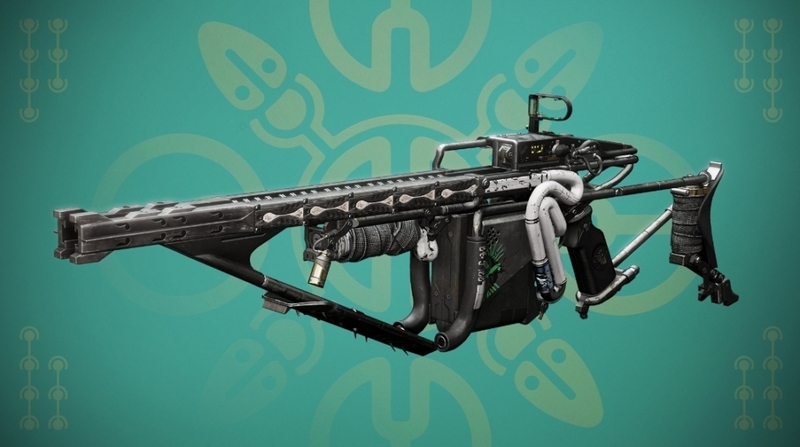 And it will bring a new Exotic weapon, more armor, and another re-imagining of the Infinite Forest (similar to the Haunted Forest from last year’s Halloween event), this time called the Verdant Forest. The Destiny 2 Revelry event also finally got a release date this week, and it might be sooner than you think! So let’s take a look at all the info we’ve got so far. Like other seasonal events before it, Destiny 2 players will earn double Engram drops throughout The Revelry. 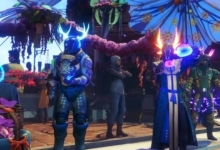 A special Revelry Engram will drop alongside your usual Bright Engrams, offering exclusive Revelry-themed Destiny 2 items. For all of the new loot, a “knockout” list will be employed. That means no duplicates will drop and players can earn everything just by playing the game. The loot included in the Revelry Engram includes exclusive armor, sparrows, ships, Ghost shells, emotes, and more. A few items will also be available for direct purchase, but everything can still be earned through gameplay. Meanwhile, the Verdant Forest is this event’s big gameplay draw. It basically sounds like a spring-themed re-skin of the Infinite Forest (and the aforementioned Haunted Forest from Festival of the Lost). 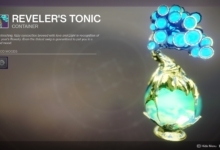 Eva Levante also returns to the Tower, as the Destiny 2 event vendor, to offer a special power-up called Reveler’s Tonic. You power up the tonic by killing bosses in the Verdant Forest and completing various other activities. Three different tonics are on offer — each of which reduces the cooldown of your grenade, melee, or class ability, respectively. Equipping pieces of two new armor sets will increase the potency of the tonic, and the effect applies to every activity in the game. That includes the Crucible! Finally we have Arbalest. 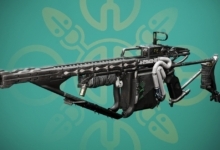 It’s a brand-new Exotic Kinetic fusion rifle, and it will be available to players that complete certain special Triumphs. It’s the first-ever Kinetic fusion rifle, to boot. But unlike most Kinetic weapons in Destiny 2, Bungie says the it does extra damage against enemy shields. That ought to make it an extremely interesting and potentially useful new Destiny 2 Exotic. The Revelry isn’t the end of Destiny 2 seasonal events in 2019, either. Not by a long shot! Each season of the year now features an event for Destiny 2 players to look forward to. 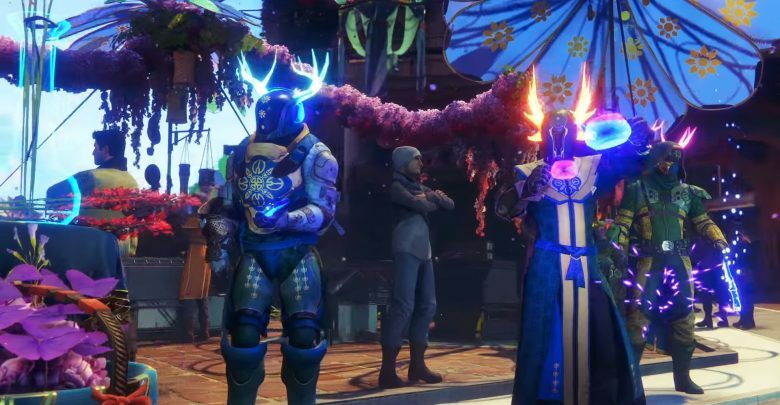 Up next is Solstice of Heroes in the summer — followed by another Festival of the Lost in the fall and The Dawning this winter. 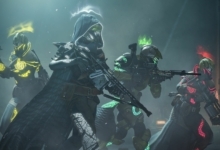 The Destiny 2 Revelry event kicks of on April 16 and will last through May 7. Scott has been writing about video games for the better part of a decade, with bylines at sites like PC Gamer, Dot Esports, Red Bull Esports, and more.